(Nanowerk News) A prestigious award will support a Kansas State University engineer's research on nanosheets and will help organize educational activities for high school students and teachers. 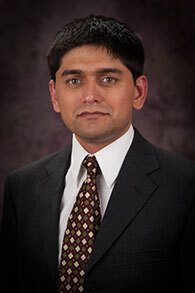 Gurpreet Singh Gurpreet Singh, assistant professor of mechanical and nuclear engineering, has received a $500,000 National Science Foundation CAREER award, "Scalable liquid exfoliation processing of ultrathin two-dimensional metal dichalcogenides nanosheets for energy storage devices." Singh will use the award to develop ultrathin metal sheets that can help produce better rechargeable batteries, supercapacitors and catalysts for photoelectrochemical hydrogen production. The award will help with more than research -- Singh also will organize hands-on educational activities. He is planning nanotechnology-oriented summer workshops for high school science teachers and female high school students. "I want to create excitement about the opportunities in nanotechnology and also make others aware of the challenges related to scalable manufacture and high-cost that is currently hindering introduction in practical applications," Singh said. The National Science Foundation's Faculty Early Career Development Program is one of the foundation's most prestigious awards for supporting early career faculty who effectively integrate research and education within the context of their institution's mission. Faculty recognition and awards are an important part of Kansas State University's plan to become a Top 50 public research university by 2025. With his CAREER award, Singh will study large-scale production of ultrathin sheets -- a few atoms thick and several micrometers wide -- of transition metal dichalcogenides, or TMDs. Nearly 40 types of TMDs have been identified, including naturally occurring molybdenite. Little is known about the structure of TMDs and their mechanical, electrical and electrochemical properties, Singh said. Some of TMDs' physical and chemical properties can address energy-related concerns. For these TMDs to improve technology, they must be produced in ultrathin sheets, Singh said. Bulk quantities of nanosheets are necessary for energy applications, including rechargeable batteries, supercapacitors and catalysts for photoelectrochemical hydrogen production. No current method is available to cost-effectively produce atomically thin TMDs in large quantifies, Singh said. His research aims to make that possible. "For long-term sustainability it is important to look at alternative energy production routes as well as methods for efficient energy storage and distribution," Singh said. "This requires exploration into new materials and designs that can offer superior performance with improved efficiency and at a fraction of the cost." Some of Singh's other research has focused on using graphene oxide to improve sodium- and lithium-ion flexible batteries and creating carbon nanotubes for better laser detectors and rechargeable batteries.